In anticipation of North America’s PURIFY KIT debut, join a special conference call tomorrow night, March 1, featuring Synergy Founder Dan Higginson, and hosted by General Manager Shane Greer. In addition to tomorrow’s call, watch the video above to catch a glimpse of Dan’s excitement for the arrival of the Purify System! Next week, for the first time ever in North America, the revolutionary PURIFY KIT will be available for purchase! Don’t miss your chance to experience the Purify Program— get your kit March 2-3. “In 2013 … I lost my health almost entirely, gaining 40 kilograms (88 pounds) in two years. I am educated in languages and tourism. I’m a tourist guide and I have been working in tourism almost my entire career. I had to stop working, which was very traumatic for me because I felt very helpless and like I was letting go of my dreams. 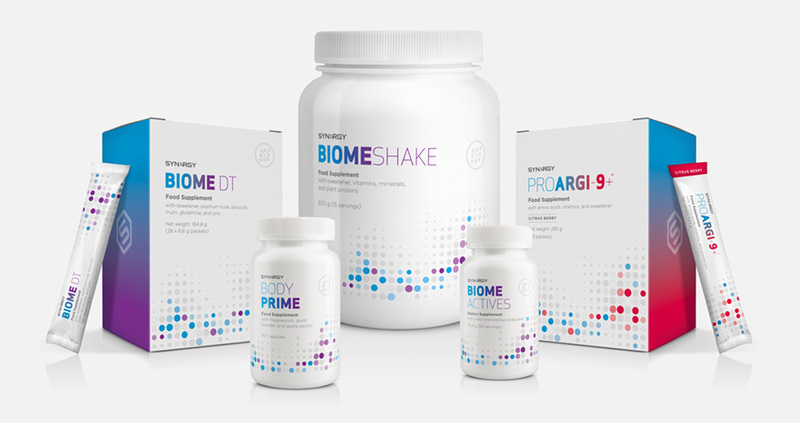 I was introduced to Synergy in February 2014 and since then I have been building my health with the help of these wonderful products. Synergy products are simply the best. Remember, the Purify Kits become available March 2 to Pearl Executives and above, and available to everyone on March 3. Orders can only be made over the phone, simply call Customer Service at 801-769-7800. For more of the details behind this exciting, limited-time offer, click here. In anticipation of North America’s PURIFY KIT debut, join a special conference call next Wednesday evening, featuring Synergy Founder Dan Higginson, and hosted by General Manager Shane Greer. Below: Dan Higginson shares his excitement for the arrival of PURIFY. Don’t miss next Wednesday’s call, where the potential impact made by PURIFY will be discussed in detail. Though February is officially “Heart Health Month,” you know that your heart is important every month! 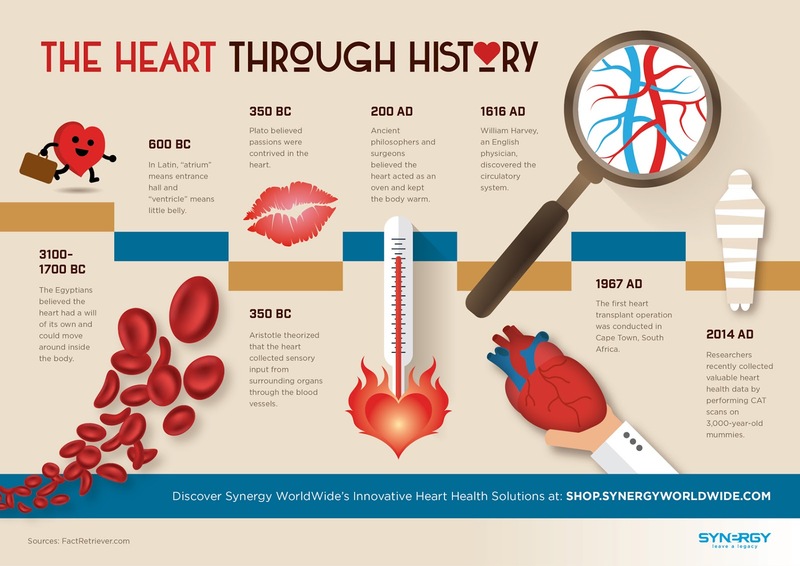 It’s been that way since the beginning… and TODAY can be the beginning of your new Heart Health regimen. Get your supply of the ProArgi-9+, Omega-3 and CoQ10 trio, available for a few more days at 25% off! Synergy celebrated a new office opening in the Gotanda area of Tokyo, Japan on February 9th, 2017. The official opening ceremony was attended by a fantastic crowd consisting of over 150 Team Leaders, as well as media staff and special guests. Ben Magalei, Synergy Vice-President and Japan’s General Manager, led the ribbon-cutting ceremony and was delighted by the excitement shared by everyone involved. The ceremony transformed into an even greater party as the crowd happily celebrated the birthday of Pearl Executive Yumiko Murashima, who joined Ben and the others in cutting the ribbon. Happy Birthday Yumiko! Synergy WorldWide is committed to helping the people of Japan transform lives by providing the most innovative and highest quality health solutions. We are pleased to see the growth and success of Team Members in that country and we look forward to more great things to come! CONGRATULATIONS TO ALL OF THE JANUARY ELITE HONORS QUALIFIERS! 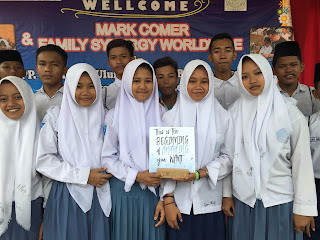 Synergy Team Members joined Mark Comer, Triple Presidential Executive and 5 Star Legacy Foundation founder, during his two-week trip to Indonesia and Bali. Amid speaking at Synergy trainings and attending other company events, Mark traveled to two orphanages and one elementary school with at least a dozen Synergy Team Members to provide children with basic materials, including hygiene products, school supplies, and food, for starters. 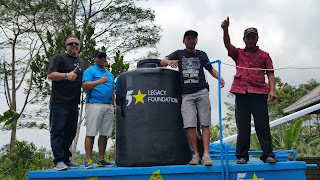 Synergy Indonesia leader, Emerald Executive Hendro Soeyoto, along with members of his team, donated $400 worth of books to 5 Star Legacy, while caricature artist Yanteo Huhu donated $2,000 — all of the money he made during a Synergy event—to the foundation. Dr. Djunijanti Peggie, wife of Indonesia General Manager Erwin Dumalang, has her doctorate in entomology and donated hundreds of copies of a children’s activity book she authored about butterflies. 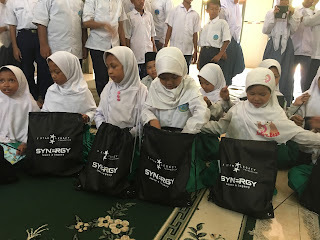 First on the agenda, Mark and his 5 Star Legacy team traveled to Mumbaul Ulum, an orphanage outside of Surabaya, where they presented the children with knapsacks sporting the Synergy and 5 Star Legacy foundation brands. Shampoo, soap, and school supplies were just a few of the things included in the knapsacks. The kids also received books, photos and messages from kids their age in Utah. The 5 Star Legacy group also presented the orphanage with four brand new computers, bookshelves, chairs and desks to create work stations and a library. Then, with Synergy Team Members, they assembled the computer stations and bookshelves and set up the computer lab. Second, they traveled to Dharm Ajati, an orphanage in Bali. The children at this orphanage primarily received food along with the same knapsacks donated to Mumbaul Ulum. 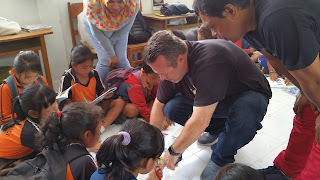 The last stop was an elementary school in the mountainous region of Buahan, Bali. Last July, Mark visited this school for the first time and with 5 Star Legacy and local Team Members donated shoes to each of the school’s 88 students. Upon greeting the students this year, Mark noticed that many of those donated shoes were already worn out! Most of the children come from poor farming families and walk at least two miles to school. 5 Star Legacy recently started a project to supply these students with new shoes annually. 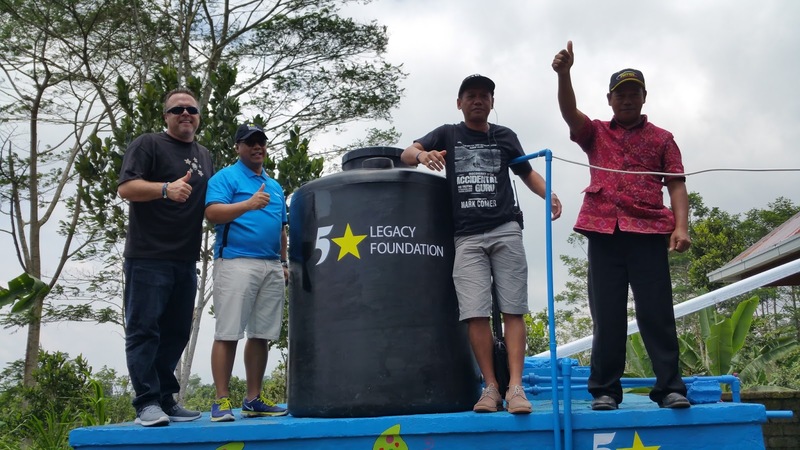 These same students have never been able to wash their hands or get a drink at school, which is why during this visit, 5 Star Legacy donated and installed a 1,100-liter water tank and plumbing, giving the school running water for the first time. They also painted the school’s doors, and provided knapsacks, plenty of school supplies, books, and food to the kids and their families. Taking these service trips a few times a year is a part of what Mark calls his “Synergy lifestyle.” He is simply putting Synergy culture into practice. At the beginning of his career, Mark Comer made a goal to one day be in a position to improve lives around the world. Today, he is the founder the 5 Star Legacy Foundation, and recently achieved the rank of Triple Presidential Executive. This ongoing success has made his dream a reality, as he is now empowered to help people in need on a global scale. Below: See the exclusive video, shown at Summit events across Asia, which celebrates Mark’s advancement to Triple Presidential Executive.